When the holidays are on the horizon, we dream in lists and recipes. 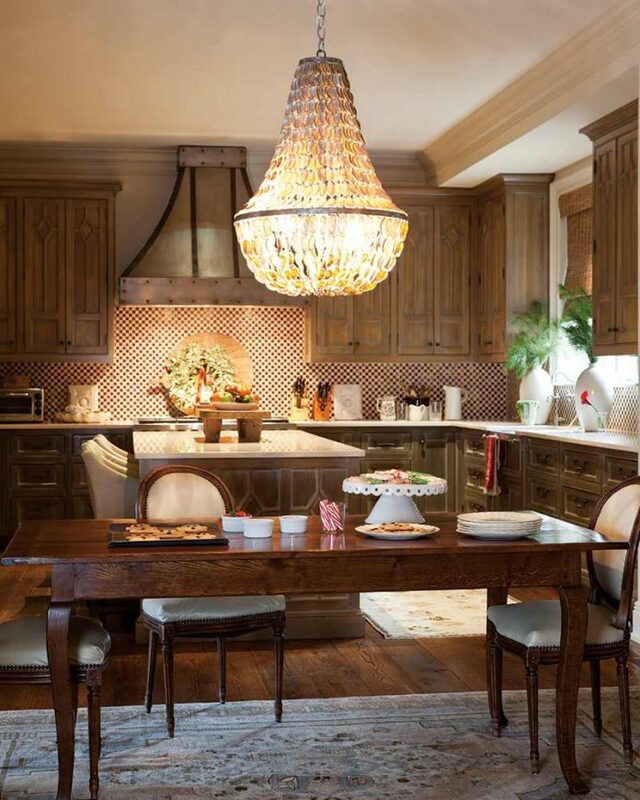 The kitchen becomes our temporary residence the few days leading up to any gathering, so it should be a place that is functional, beautiful, and—this time of year—festive! 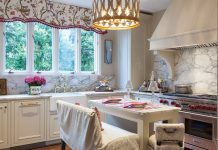 We’ve put together seven of our favorite holiday kitchens to inspire you as you whip, frost, baste, and taste your way through the festivities! 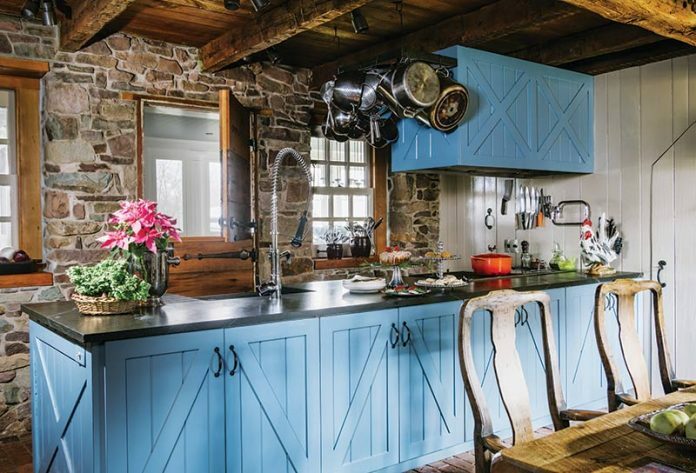 So, put on some music, grab your apron, and enjoy these stunning spaces. 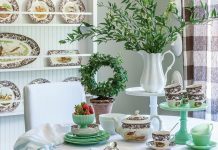 Here, surfaces are deliberately kept clear of excessive holiday décor to allow for food prep as well as for plenty of room for folks to pop down their drinks. 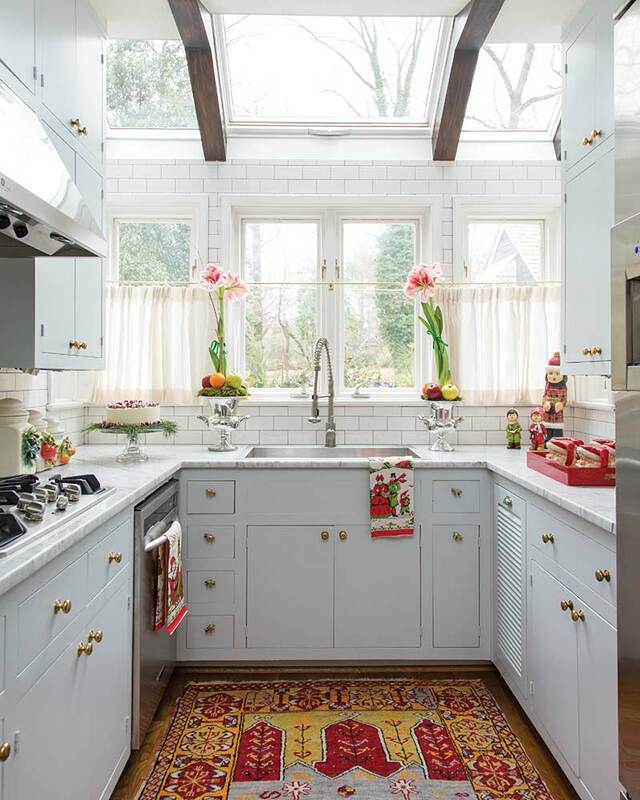 A skylight and wall of windows illuminate this cozy kitchen! And with festive pops of color this space transforms into the cutest holiday dream kitchen! 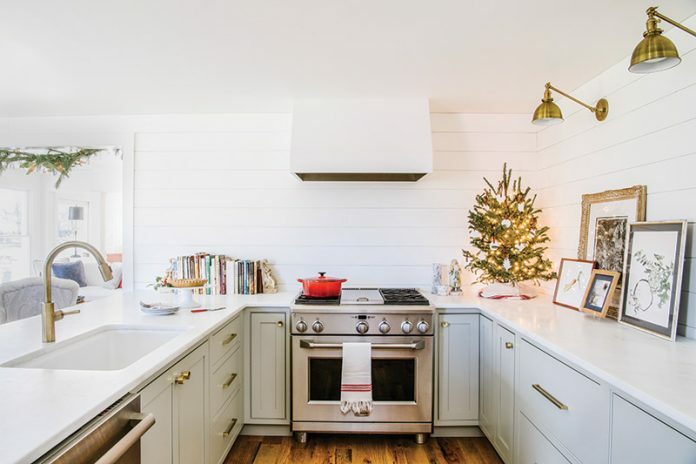 This family keeps a small tabletop tree in the kitchen, which holds DIY salt dough ornaments made by the kids. The holiday kitchen takes cues from the rest of the farmhouse—favoring a clean, natural palette. 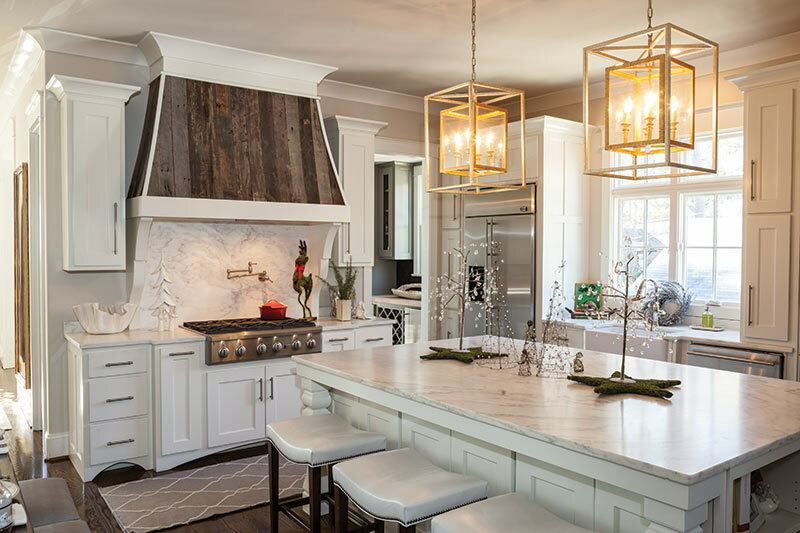 The reclaimed wood hood was carefully chosen by the homeowners to contrast the Alabama marble and contemporary cabinetry. Counter space galore make this kitchen a dream for holiday baking! We can just imagine all of the frosting, rolling, piping and cookie decorating. 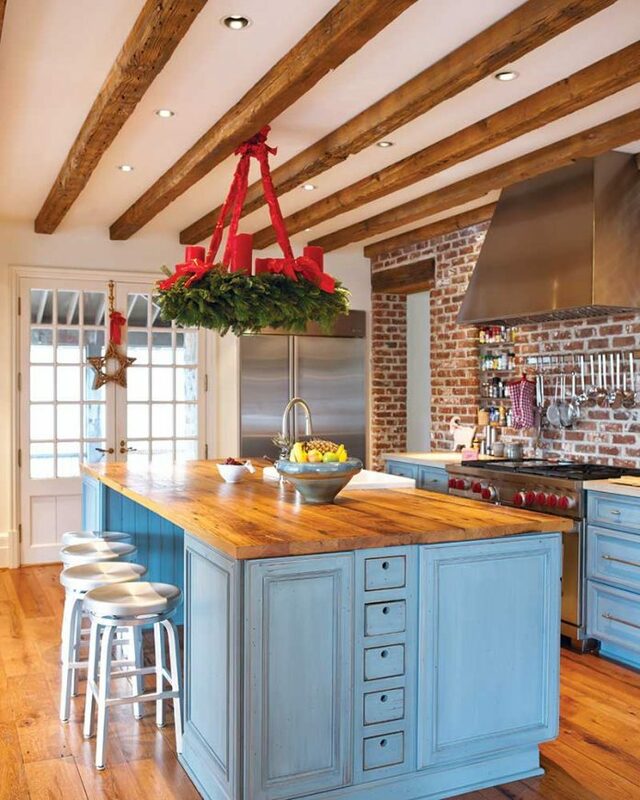 Each year an Advent wreath made from fresh greenery is hung from the kitchen rafters. With the addition of four candles and ribbon, the wreath becomes a seasonal highlight. 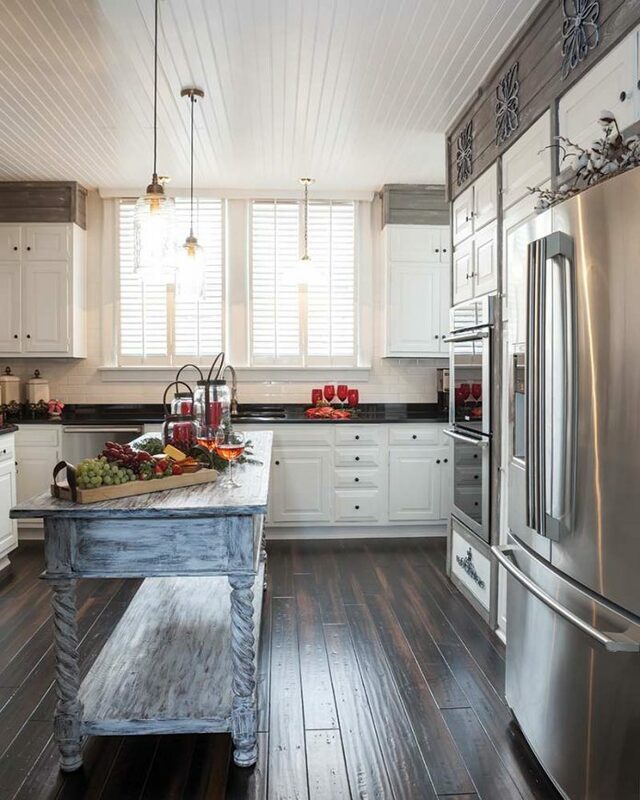 For a kitchen island, the homeowner refinished an antique sideboard in a distressed finish. Not only does this piece reflect the rustic character of her kitchen but it provides additional counter space for holiday appetizers!